Written by Janet Choi on December 10, 2015 . The phrase drip marketing may sound as though it’s based on the practice of water torture, but it actually comes from the phrase drip irrigation. This is an agriculture/gardening technique in which small amounts of water are fed to plants over long periods of time. The concept is simple: provide value and care over time to grow happy customers. The problem is that marketers aren’t using email to its full potential to do so. Drip marketing has been around a long time in various channels, but it gets messy when it comes to email. You’ll hear these terms used interchangeably — drip emails, automated emails, triggered emails, lifecycle emails, behavioral emails, autoresponders — causing confusion and misunderstanding. We wanted to shed some light on what modern-day, sophisticated drip emails do and how to put them to work for you. A drip email campaign is an automated sequence of emails, triggered by an individual’s action. The old drip email system is simple and reflexive, kicking off when someone signs up for something like creating an account, subscribing to a website or email course, or making a purchase. The problem with this dated system of drip emails is that they’re dumb to any context besides a pre-set timetable. Like a configuration of falling dominoes, once these emails start, they’ll keep hitting your inbox in a predetermined order and schedule until they run out, start a subsequent series, or you unsubscribe. That type of relentless conveyer-belt delivery leads one to muse, as McFedries does, that “Perhaps it is a form of torture, after all.” In contrast, modern drip emails are triggered by people’s behavior. And by behavior, I’m not talking about email opens and clicks, like this: I’m talking about user behavior — the very same behavioral data that you’re probably tracking with analytics tools. What’s so powerful about behavior? Consider one automated, behavioral email — the transactional email. 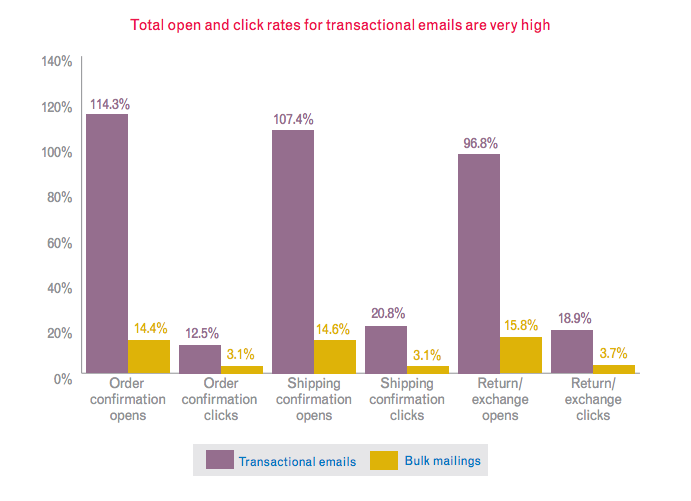 Transactional emails get much higher engagement rates than other types of email — and it makes total sense why. Experian’s Transactional Email Report People expect to trigger such messages with certain actions, like making a purchase. You’d even get nervous if you booked an expensive flight but never got a confirmation email. In many ways, transactional emails are the ideal email, hitting all three requirements of revelance: right message, right person, right time. When drip emails are triggered by people’s behavior on your site or app — rather than time or email opens — you’re starting out closer to that ideal because they’re responding to individual situations. Instead of a relentless, fixed sequences of messages, every person gets an email experience that’s customized to their needs. It’s an Email 101 rule that every email has a clear purpose. With behavioral drip emails, that purpose becomes much easier to work towards. Instead of being dictated by a time table, messages are tied to actual goals to help people succeed and experience their aha moments. It’s the striking difference between receiving an email about adding a picture to your social networking app profile because you haven’t uploaded one yet — and receiving that message just because it’s the 3rd drip in the campaign. “Oh, you put up a photo already? Shrug.” isn’t the experience that you’re shooting for. With purpose in mind, you can hone in on specific conversions instead of sending a random series of “best practice” tips. 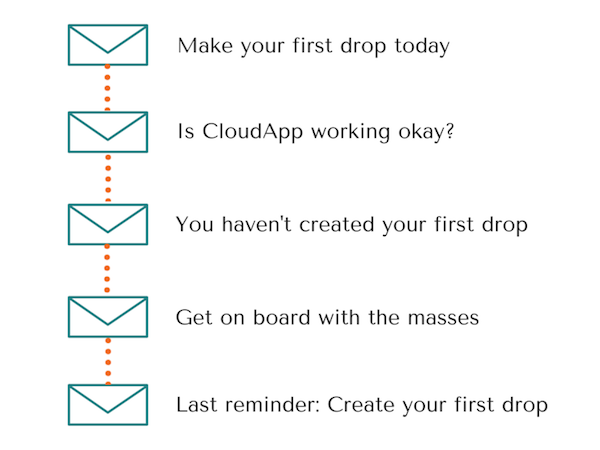 Here’s a great example of a behavioral drip campaign from CloudApp, a tool that allows you to easily share screenshots and other types of files: For people to get any value from CloudApp, they have to create their first “drop” or file to share. If you’re a new user and haven’t created your first drop, you’ll start receiving this email series, spread out over a month. As soon as you create your first drop, the series stops. Because it’s tied to whether you carry out the action or not, you might only get just 1 or 2 of these emails. Sending behavioral drip messages is a smarter, more focused way of working in marketing and product. You’re more effective at helping people succeed while ultimately sending them less email, and you can measure real results rather than guessing from clicks and opens. But only 20% of marketers are using behavioral emails, according to Ecoconsultancy’s 2015 Email Marketing Census. There’s a lot of catching up to do! Farmers have to pay attention to what they’re growing and in what conditions and context. They take note of the weather, the seasons, the bugs, the quantity of sun and quality of soil, and gauge their progress by how their crops are thriving. And even the humblest houseplant-keeper learns that succulents won’t live if you water them just the same as your spider plant. Any marketer of a product or service with real users knows that people neither act in the same way or in ways that you expect. It makes little sense, then, to send everyone the same series of messages and just hope for the best. Just because you’re using automation doesn’t mean that interactions have to be unthinking or superficial. When you use behavioral drip emails, treating email as part of the user experience and responding to how users are interacting with you, you’re paying attention to growth conditions and listening to real people. That’s smart, modern marketing. 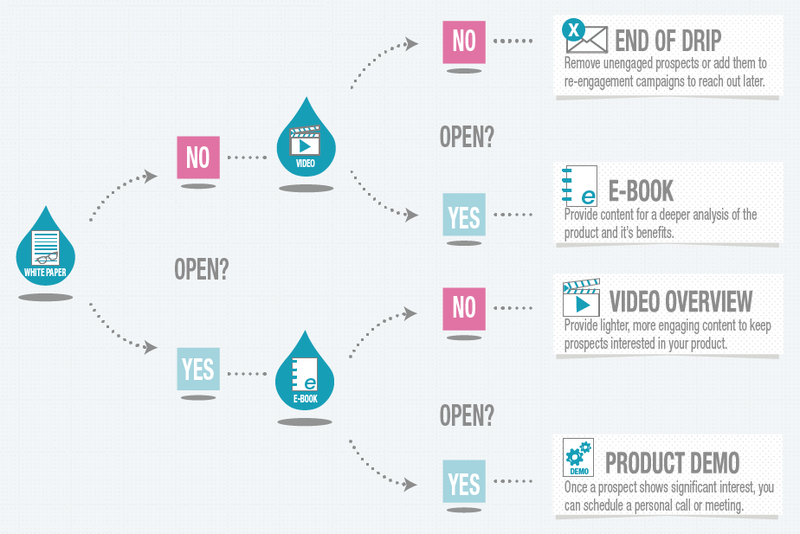 Are you using behavioral drip emails in your marketing or not? Share your experience with us in the comments!